Pre-operative Warm-up Using Simulators. Duration of Effectiveness Decreases Over Time. Previous randomized controlled double-blind studies have validated that practicing on a specifically designed simulation on a laptop will improve both cognition and psychomotor skills such that there is a reduction in errors and a decrease in operating time on an simulated surgical procedure. 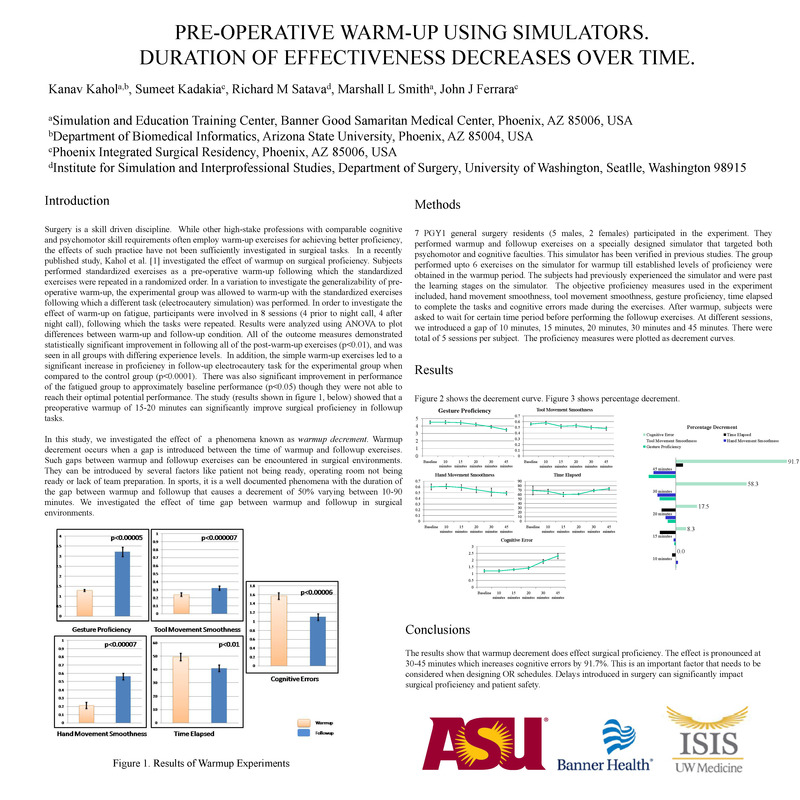 This study examines for how long the duration of improved performance following pre-op warm-up persists once the simulated exercise is completed. The results indicate that there is persistence of improvement for approximately 15-20 minutes for psychomotor skills and approximately 10 minutes for cognitive (and attention) function. These results have implications on when pre-op warm-up should be conducted (ie, immediately before a procedure) and how long it can be anticipated that the effect will last, implying that if a delay occurs, pre-op warm-up should be reinstituted.